A chill is in the air and the trees are ablaze with fiery red, orange and yellow. It can only mean one thing for us photographers; our last busy season of the year is upon us. While you’re cramming in last minute sessions, we wanted to offer our best advice on how to capitalize on the final shoots this year. Sit back, don your chunky sweater and cuddle up to a pumpkin-spice latte, it’s time for our top 7 tips for maximizing your holiday season sales. 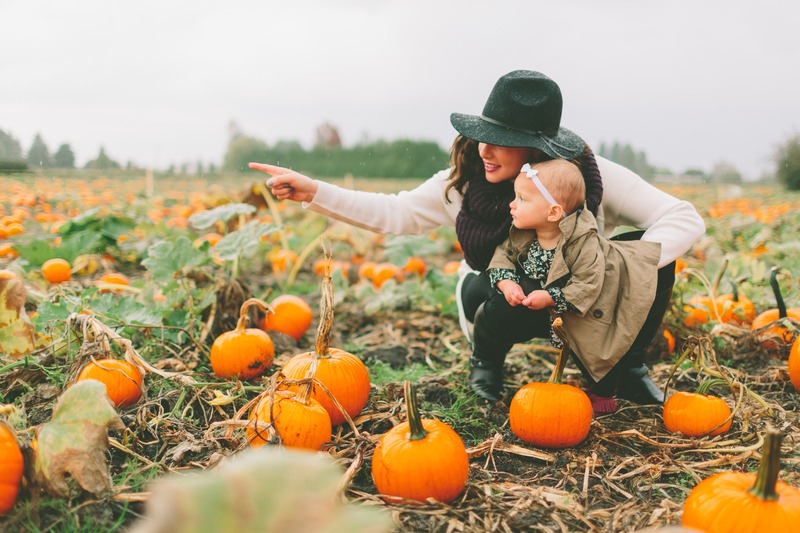 Win #1: Take advantage of seasonal sales from your favorite print lab! Let’s start with the low-hanging fruit in our mission to unearth easy wins during the busy season. One of the easiest ways to increase your bottom line is to simply spend less money. And one of the easiest ways to spend less money is to take advantage of all of these holiday specials your favorite print labs are offering. I know, kind of a no-brainer, right? Well, that’s what we’re going for here! Quick and simple wins to make you more money. Speaking of spending less money – time is money, right? So if we can spend less time on each session, we’ll spend less money. One of my favorite ways to cut back on the amount of time I spend per session is to only fully edit the images I sell. Now I’m not suggesting you show your clients unedited images, I’m just saying you shouldn’t fully edit all of the images. 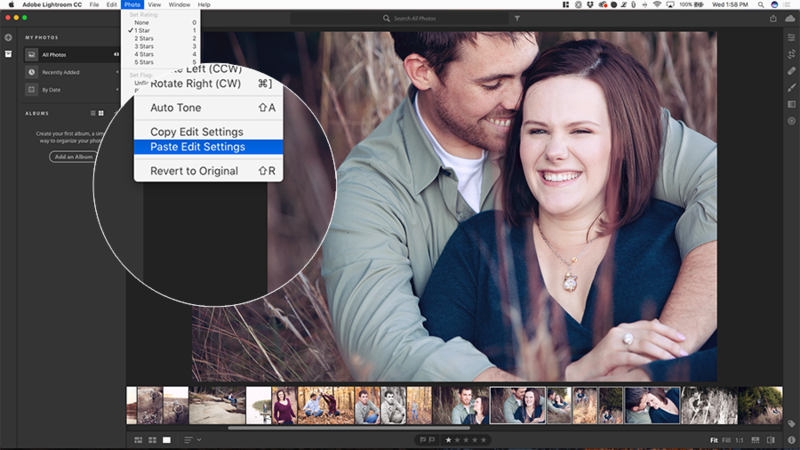 In Lightroom, select an image, make your edits, then apply those edits to all of the images with similar exposure and white balance. You’ll be done editing in no time and your images will be ready to show off to your clients ahead of schedule. This tip will help you be more efficient in creating proofs for each client and help you increase your output and income. Once you’ve mastered this during the busy season, make sure to implement moving forward. Your photos and clients will thank you! This is another tip that, once you start doing it, you’ll never want to stop. “Batching your processes” means that you’re going to do the same process, step or format at the same time to keep you from having to switch between different projects. With what we do, this is especially hard because we may be switching from right brain tasks like editing and shooting to left brain tasks like selling and placing orders. So what would batching your processes look like, in practice? While the above is simplified, you have more things that you need to do each week to grow your business, like follow up with clients, schedule sessions and product deliveries/pickups and constantly check how many new likes that session you posted on Facebook got today. However, doing the same thing at the same time will help you figure out ways to streamline each process and will also help you get your work done more efficiently. Scenario: It’s Monday morning and your whole house has now left for school and work. You get the “what the heck am I supposed to do today?” feeling you have each morning when you sit down at your computer to work. This is where you’ll find batch processing the most reliable for planning. Is it Monday morning? I do Light-room edits on Monday mornings. I don’t check Facebook. I don’t look at my email. I do Light-room edits. Another way to dramatically decrease the amount of time you spend per session during busy season is to cut back on the number of products you offer. How does this help? Let’s count the ways! You can shoot more efficiently, knowing exactly what products you’re shooting for (“I’m shooting for a gallery-wrapped canvas with the image wrapped around the edges, I need to leave extra space around my subject to keep them from wrapping around the edge, too”). Clients have fewer options to choose from, making it easier for them to make a choice and stick with it. You have fewer products to have to discuss and sell during your planning and sales meetings, making it faster to zero in on the perfect product for your client. You can get faster at editing and create these products while batching your processes since you have fewer products to deal with. Pairing limited, or Holiday specific items, with a special discount on seasonal specials, is a recipe for a great, streamlined sale. Even better, choose products that have seasonal specials from your lab and now you’re spending less money on your products while also spending less time creating them. Win-win! This is really something you should be doing throughout the year, but it’s especially important to add it during your busy season if you’re not already doing it. Pre-designing suggested products is a fantastic way to cut down on the amount of time it’ll take for your client to make a decision on purchasing your products. And if you’re offering seasonal specials like we discussed in the previous tip, this is super-simple. If your client gets a “seasonal package” that includes a framed gallery, 2 5x7s and a set of holiday cards. Design in advance and you’ll be ahead of schedule and competition. Best case, they’ll love everything you’ve designed, say “yeah, I’ll take it all” and you’re done. Worst case, they have you swap out some images and you’re still done faster than you would be if you hadn’t pre-designed anything! Even more importantly, this sets you up in your clients’ eyes as the expert. You’re the pro, so be the pro! You know this stuff better than your clients, it’s time to start putting it out there and saying, “with my eye, expertise, and experience, these are the images that I think make the most sense for the products you’ve chosen”. That doesn’t mean you’ll have to stick with those if they like something else, but you’ll be surprised just how quickly your suggestions will match their favorites after you do this a few times! Busy season is not the time to be waiting week after week for a client to get back to you with their selections for their album! 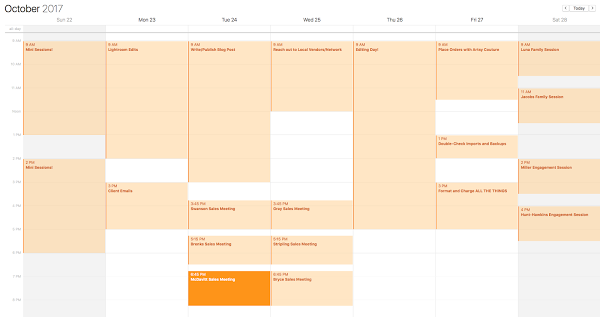 You’ve got lab holiday deadlines to meet and a slew of other clients needing your attention. Ok, so it may not go down exactly like that, but notice what we’re doing here. I’m not even discussing the option to “take them home and think about them” and I never mention a thing about sending them a proof to approve before I place the order. And I’m phrasing it in a way that is a benefit to them: “I’ll get it designed and ordered so you’ll have it in time for the holidays”. If they don’t want you to design from the “Yes” images, then it’s time to dig in and decide which ones they want. Do this now so you can be done with it and get the album ordered the same week. If they ask for a proof, by all means, tell them you’d be happy to send a proof over, but that you’ll be placing the order on Friday, approved or not. You can explain that this is your busy season and you need to leave time for reprinting if something goes wrong if you want, but that’s totally up to you. Clients will understand and respect that you run a business and have timelines to hit. Win #7: Make it easy to up-sell products. Alright, we all know how much photographers hate sales pitches, so this is our final step. You should be well primed to master these sales scenarios after having gone through the previous six steps. Take a deep breath, it’s going to be ok.
Let’s say, as part of your seasonal package, you include a “Tabletop 11x14” print (Win #4). 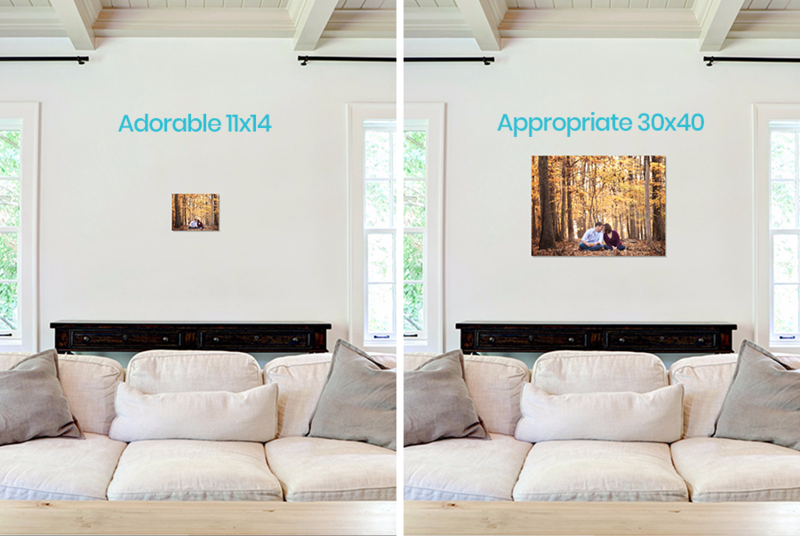 Since learning how predesign can be so beneficial, you’ve also designed product mock-ups displaying an 11″x14″ proof on a wall space using an imaging tool, like Swift Galleries (see below). Outcome: The 11″x14″ print is going to look absolutely adorable on a standard-sized wall. However, this may not fit the needs of the space provided. Following your above preparation, you also predesign the same proof in a new dimension, 20″x30″ or 24″x36″ is perfect for most shared living spaces. The response will overwhelmingly be in your favor, and they’ll likely agree that your option is best. When it comes right down to it, this isn’t selling. This is you working with your client to get the right image, at the right size, on the right product, in the right space in their home. So there you have it, 7 quick wins for you this busy season to make more money in less time while spending less money. Chime in in the comments if you have any questions or if you give any of these a shot, we want to hear your results! Chris Scott is the Co-Founder of the In-Person Sales and wall art design tool, Swift Galleries, and creator of 21 Days to Your First In-Person Sale. 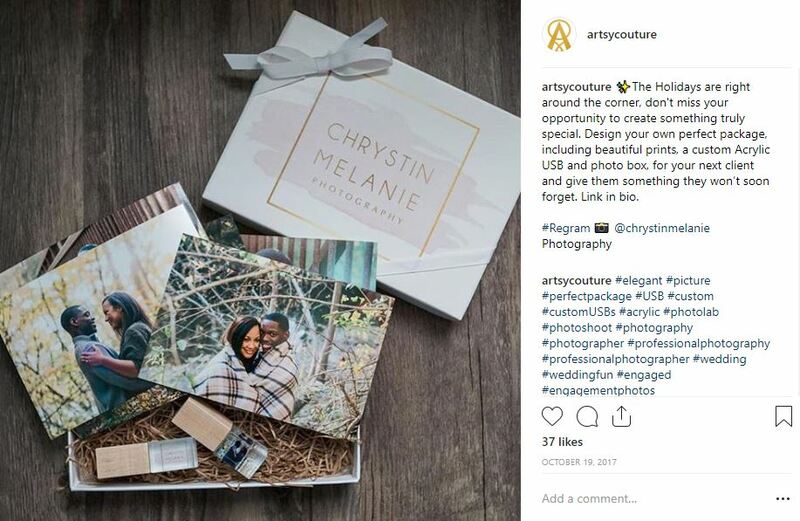 Before becoming a software geek, he and his wife Adrienne grew their struggling photography business to $120,000/year in their first year of In-Person Sales. 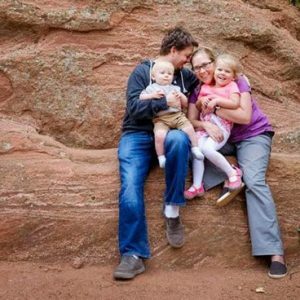 They live in Colorado Springs with their 2 kids, 1 dog, and 8 chickens. Want to learn more about In-Person Sales? Check out Chris’ free course on Switching to IPS! Ho-Ho-Ho Holiday Card Season is Back!